The winning entries will be based on the number of votes they receive. Support your local team. 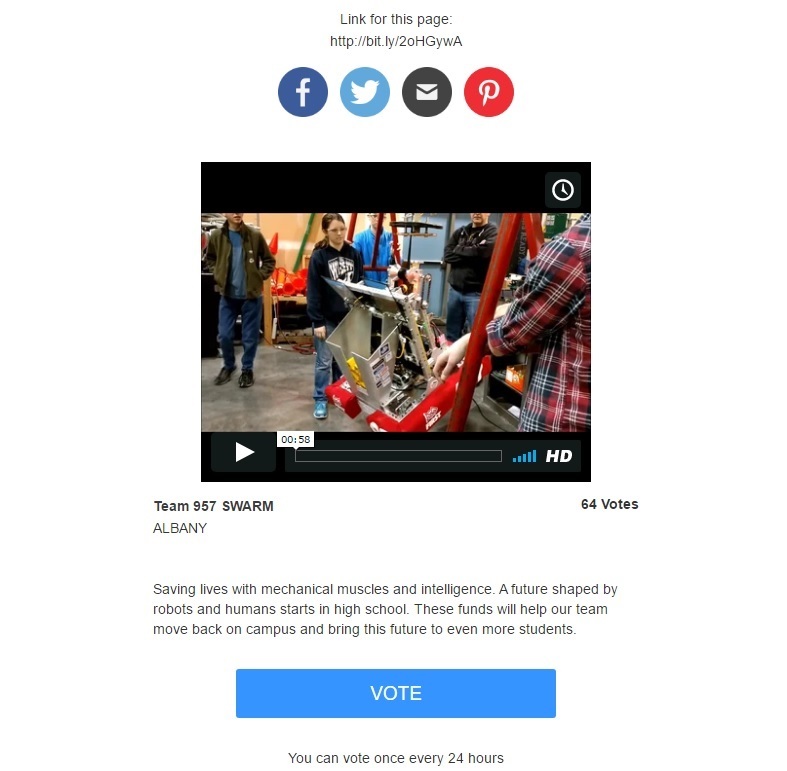 Vote for SWARM every day until April 16.